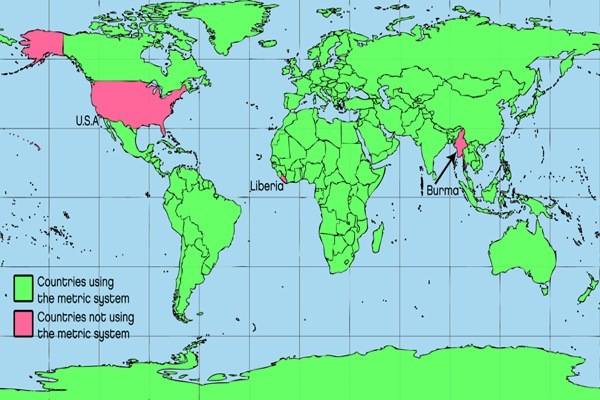 Above: The Metric Conversion Table Map shown here depicts the very few parts of the world (Burma, Liberia, and the United States) that have not yet adopted the Metric System. Shown below is a basic metric table that converts one unit of US measure to its metric equivalent. Feel free to print this page for your own personal use. For many more free printable items, visit any of the links shown at the bottom of this page.